This taco-inspired chicken salad features a homemade creamy mayonnaise-based dressing with crunchy romaine lettuce and bell peppers. 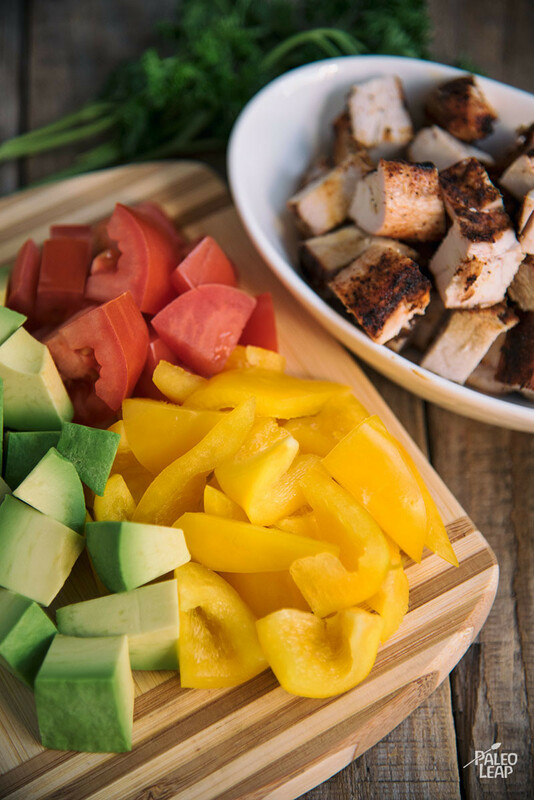 The lettuce, tomatoes, avocado and bell pepper add vibrancy and show off the nutrients within this colorful salad. To create the dressing for the salad, you’ll need to make your own mayonnaise, or have an avocado oil- or olive oil-based version on hand. Mayonnaise takes just a few minutes to make, and you’ll have leftover mayo to put on a salad, include in deviled eggs or to lather in a buffalo chicken wrap. By combining the mayo, olive oil, lime juice and taco seasoning together, you’ll have a taco salad dressing ready to drizzle on top. The instructions for this salad are to combine all the ingredients into one big bowl. However, if there are picky eaters in your house, you can separate the veggies into individual bowls and allow everyone to create their own version of this salad. Because everyone loves a taco salad, bring this salad to an event or gathering, and no one will bat an eye because this is a familiar recipe! In a bowl, combine the ingredients for the taco seasoning. Rub the chicken with half of the taco seasoning. Place the chicken on the preheated grill. Cook the chicken until it’s no longer pink on the inside, 10 to 12 minutes, turning as needed. Let the chicken cool down and cut into cubes. In a small bowl, add the mayo, olive oil, lime juice, and the other half of the taco seasoning. Whisk to combine. 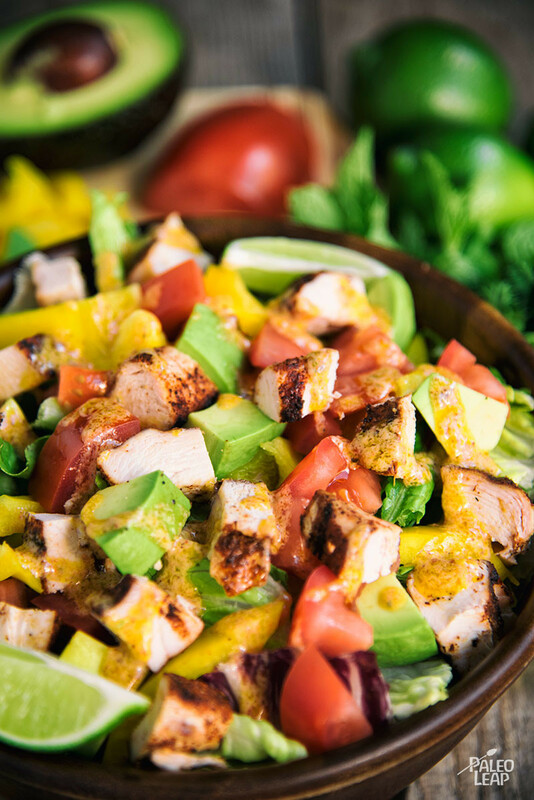 In a large bowl, toss together the lettuce, tomatoes, bell pepper, and avocado. Top the salad with the chicken and drizzle the dressing on top.